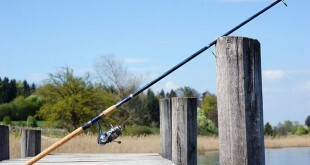 Fishing is an American pastime! There’s something that’s really therapeutic about sitting in a boat or by a pond and casting a line and just waiting, not knowing if you’ll actually catch anything but just feeling satisfied by sitting down and taking it all in. But fishing has also become a sport. And like any sport, you need the best equipment in order to perform! That’s why the Maxcuatro fishing line was the perfect fishing line for me. 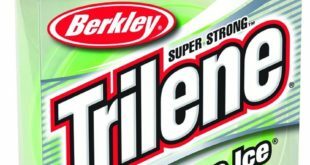 I bought it recently and used it for the first time recently when I went trout fishing up in the Pittsburgh area and I just loved the line! 1 Why Power Pro Maxcuatro Braided Fishing Line? Why Power Pro Maxcuatro Braided Fishing Line? 1. Strength: The fishing line is incredibly strong! The braided pattern combined with the Honeywell fiber material that is perfect for line casting and reeling in those tough catches. I’ve had too many fish escape me because of a snapped line but I’m confident that I won’t ever have that issue with this line. 2. Casting Line Length: Since the line itself is so much thinner than the average casting line, it lets you get more line on your rod and therefore lets you cast the line farther out. It probably gives me about 25% more casting distance than the other lines that I’ve had. The line also has some added benefits, like an inbuilt cutter, a roll of arbor tape included in the packaging, and it becomes on the spool so you can fit it in on the rod right away without trying to hassle around with the strings. The line itself has also colored a green that matches bond water and is ideal for lakes or ponds with lots of algae so the line just blends right in. Now if you’re looking at the cons of the line, I can tell you that the price was a big concern for me as well. This line costs about $15-$25 more than the average on the market fishing line that you might find. Here’s why I still think you should buy it: since the quality of the line is so strong, it’s very unlikely to break on so you won’t have to continuously buy new line after each trip. You’re investing in quality. And it is a little heavier but it doesn’t take much getting used to. I’ve been fishing for close to 15 years now and I love this line. It’s probably the best line that I’ve ever used. But don’t take my word for the product. My father, who probably has fished for over 40 years, has seen and tried every kind of fishing line that is out there. When I went fishing for trout with him last week, I let him have a whirl with my rod and he just wouldn’t give it back after that! He loved the lightness and the strength of the line so much. I would highly recommend this line for all fishers, amateur and professional. 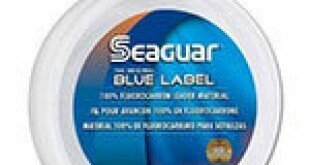 Previous What is the best saltwater fishing line for you?